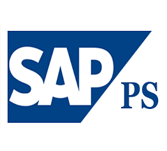 What do you understand by the term SAP PS? The concept of Project System (PS) is one of the SAP modules which facilitates in performing the project and portfolio management. The complete project life cycle right from structuring to planning, execution and till project completion, is managed by SAP PS. The tutorial mainly covers the basic concepts of SAP PS and its various modules and sub-modules. What are the prerequisites required and who are the audience for learning the concept of SAP PS? Good knowledge and understanding and knowledge of the relevant business area that the SAP PS module is concerned is required to better understand the concept of SAP PS. This tutorial is mainly targeted for the organizations for which Project System facilitates in planning, scheduling, collecting and revenue and expenditure generating over the project period.